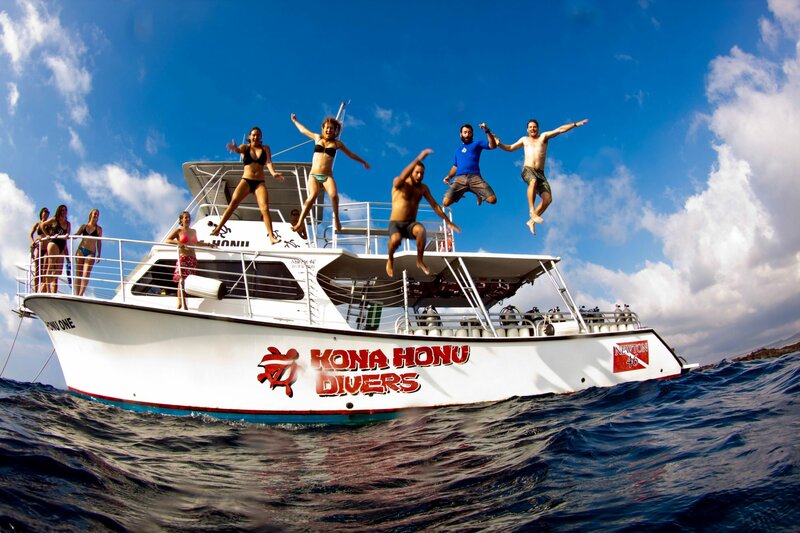 Kona Honu Divers was incorporated in 1998 and went on to purchase a large custom dive boat in 2002 to offer a wider ranger of diving services to our customers. We have a passion for underwater photography and videography and love to incorporate it in our social media efforts. When we're not working at the shop or escorting charters, you'll often find us off diving somewhere, exploring all that Kona waters have to offer, including opportunities to see tiger sharks, hammerhead sharks, and blackwater creatures. Some of our staff members are even scientists with an avid interest in conducting underwater research. No matter your skill level or reason for exploring the wonderful world that lies beneath the ocean's surface, Kona Honu Divers is here to guide you through your individual scuba, snorkeling, or freediving journey!